Fusarium Head Blight (FHB) is a fungal disease of various grasses. It is found most often in wheat, but can be in barley, oats, rye and some forage grasses. Under certain environmental conditions the fusarium mould may produce a mycotoxin. This mycotoxin is called deoxynivalenol (DON), and it is considered a mild toxin, compared to other toxins that can form in grains and forages. Livestock may encounter reduced feed intake, decrease in performance and reduced immune function as only symptoms of DON toxicity. Different livestock species respond differently to DON. In pigs, DON is efficiently absorbed, poorly metabolized, widely distributed through body tissues and excreted at a comparatively slower rate than in other farm species. This makes pigs quite susceptible to the effects of DON. With ruminants and poultry, DON has been shown to be poorly absorbed, extensively metabolized and rapidly cleared from tissues and fluids. The effects of DON on different livestock species, and the Agriculture and Agri-Food Canada guidelines for DON intake, are discussed below. The guidelines for DON levels in feed is based on a 100 per cent dry matter basis and refer to the complete ration. This would include the forage component of cattle rations. For example, grain with a DON level of 15 parts per million (ppm) could meet the guideline for growing cattle if it makes up one-third of the animal’s total dry matter intake. The remaining two-thirds of the ration could be forage. Until 1993, very few feeding trials had been conducted with lactating dairy cows. Recent research has indicated that dairy cows may be able to tolerate higher levels of DON. In an Agriculture Canada trial, heifers were fed rations containing 6.4 ppm DON for 10 weeks during mid lactation with no effect on production. Research at the University of Manitoba showed that feeding 8.4 ppm DON had no effect on dry matter intake, or milk yield of cows producing over 33 kilograms (kg) milk per day. Growing-finishing cattle and lambs can tolerate much higher levels of DON in their diet without going off-feed. Some research has shown that feeding 15 ppm DON to feeder lambs for 4 weeks had no effect on feed intake or gain. In a University of Minnesota feeding trial (1993-94) steers were fed rations containing up to 18 ppm DON through the finishing phase with no effect on gain, feed intake or feed efficiency. An NDSU trial (1993-94) fed up to 9 ppm DON during the growing phase and up to 12 ppm during the finishing phase with no effects on performance. Based on research trials conducted since 1993, it appears, at the levels tested, DON has no effect on reproductive performance. North Dakota State University fed heifers rations containing 10 ppm DON, on a dry matter basis, during mid and late gestation. No differences in feed intake, gain, calving rate or calf birth weights were observed. This is similar to results obtained with sheep at the University of Manitoba and the University of Minnesota, where ewes were fed up to 12 ppm DON during late gestation, with no effect on number of lambs born, per cent born alive or lamb birth weights. The University of Minnesota also fed ewes a diet with 7 ppm DON for 10 days pre-breeding until 30 days post-breeding, with no subsequent effect on reproductive performance. Limited information is available on feeding DON contaminated grain to horses. In 1996, a study at the University of Missouri fed DON contaminated grain (36 to 44 ppm) to adult horses at the daily rate of 1.3 kg for a 40 day period. This corresponds to approximately 6 ppm DON on a dry matter basis. No effect on health or performance was noted. Feeding DON levels above 1 ppm in the complete feed will result in some degree of feed refusal. Producers can expect to see feed refusal of about 5 per cent when levels of 1 to 2 ppm DON are fed and feed refusal of 25 per cent with DON levels of 4 ppm. At 10 to 20 ppm DON, complete feed refusal may occur. Vomiting seldom occurs but has been reported at high DON levels (20 ppm). Weanling pigs are more susceptible to the effects of DON and my exhibit feed refusal at levels less than 1 ppm. If possible, avoid feeding DON contaminated grain to weanlings. Although DON does not appear to have a strong reproductive effect, the effects of feeding DON on reproductive performance is not fully known. The use of DON in rations for gestating and lactating sows should be avoided or minimized to reduce the odds of problems occurring. Poultry are the most tolerant of livestock to DON. Some studies show that feeding 20 to 50 ppm DON has no effect on production. Mycotoxins can act in a synergistic manner, and the presence of other mycotoxins may cause an animal to show toxicity symptoms at lower than expected dietary levels of DON. 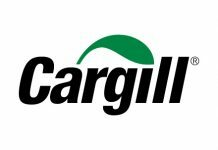 A joint study between Manitoba Agriculture and Food and the Canadian Grain Commission showed that DON is found almost entirely in fusarium damaged kernels. Negligible levels are found in non-damaged kernels, and in the stem. The amount of DON in cereal straw will depend primarily upon the presence of contaminated grain and chaff. Straw with a high concentration of this material should not be fed to horses, or used as bedding for hogs. The quick test (ELISA) offered by some laboratories for analysing DON in straw appears to be unsatisfactory. Producers wishing to check their straw should do so at a lab which uses GC-MS (gas chromatography-mass spectrophotometer) methodology. DON levels peak two to three weeks prior to seed maturity, and then start to decrease. Because greenfeed and silage are harvested prior to the seed being completely mature, the level of DON in the harvested male trial could be significantly higher than that found in threshed grain. However, these levels are blended down through the contribution of leaves and stem. The leaves and stem do not produce any significant amount of DON. Ensiling, if done correctly, will prevent further mould development. It is essential that the silo be airtight. Ensiling will not destroy any DON present in the seed prior to ensiling. High moisture grains are also a concern, because they too are harvested prior to maturity. The level of DON is not, however, blended down by the stems and leaves. If the grain has been combined, take sub-samples from 15 to 20 different spots in the bin or during loading and unloading. Mix these sub-samples in a container, and collect a final sample from the mixture. DON analysis of fusarium-infected grains is an important part of planning a safe feeding program for livestock. It is even more important that producers continue to monitor livestock and take action if feed refusal occurs. Feed analysis, whether for nutrient content or mycotoxin content, is meant to be used only as a guideline when preparing livestock rations. A close watch still needs to be kept on the animals. A drop in feed intake may indicate that DON levels are higher than they should be. Variability in DON test results is common, because the mycotoxin being detected is not uniformly distributed. It is common for DON levels in grain to fluctuate within the same field (ex: field margin to centre), as well as between fields. In addition, DON is not distributed uniformly throughout every seed. This could lead to different DON test results, even within what appears to be approximately the same sample. 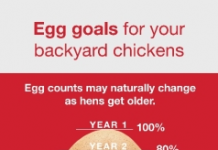 How long do chickens lay eggs? Copyright © 2019 Poultryproducer.com . All rights reserved.